Mother Nature delivered a surprising day of snow last week. On the second day of Spring, she decided to ignore the calendar and do what she wanted. The nation’s Capital received about 5 inches of wet, slushy and heavy to shovel snow that initially was magical but then quickly became work. In my neighborhood, I am lucky. 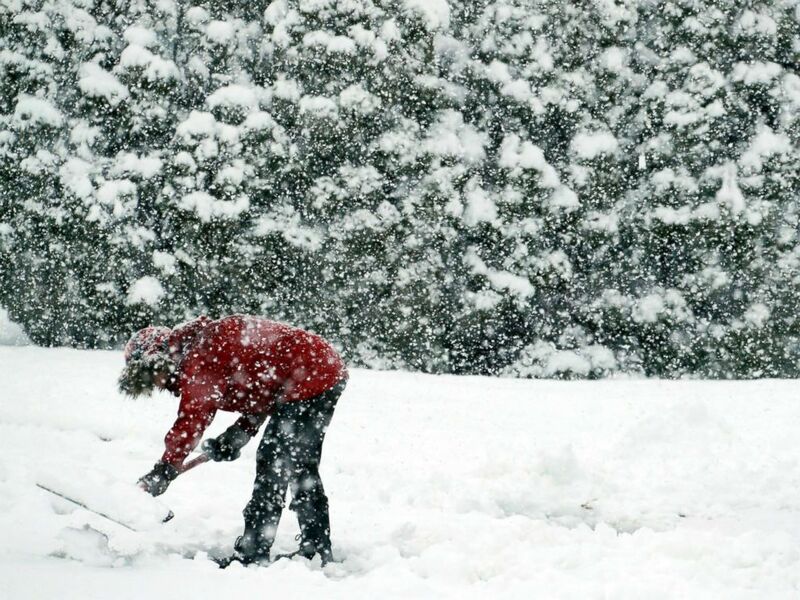 As soon as the snow flakes stop falling, everyone comes outside to shovel and when they are finished shoveling their property, they look to see who they can help in clearing away winter’s wonder. As you can imagine, the men are very serious about getting the shoveling done, while the women tend to do it at their own speed because we are talking and catching up with one another. One of those neighbors is a lovely woman who lost her husband to cancer this past November and while shoveling she remarked on missing her husband in general but in particular, she said, she missed him during snowy weather. We laughed and commiserated about having a guy who is ready and capable of cleaning our sidewalks and cars and we kept on shoveling and catching up. I was glad to hear her talk about her husband and while we have talked about him since his death, I think the act of moving all the snow around helped her feel free to open up a bit more about her grief. This is how life presents you with an opportunity. Words are never enough when trying to offer support to someone who is suffering. It was time for me to listen and offer quiet support, making every effort not to interrupt. Letting quiet places in her talking just sit there and develop on its own. I reminded myself that unless she actively asked me about my own grief and what it was like when my husband died many years ago, I was not going to introduce it into our conversation. I have learned through the years that while I may know people who become widowed or friends who lose parents or parents who lose children or friends who lose siblings, my grief experience is not their grief experience. No grief journey is quick or easy, no matter what the circumstances of the loved one’s death. It takes time to process the confusion of what is happening within us and the amount of time is different for each person. 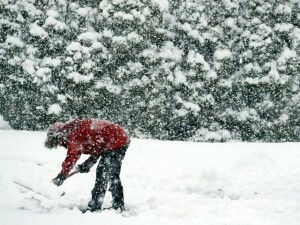 While scooping up and dumping the icy slushy snow, I imagined that my neighbor was thinking back to all the times that her husband would throw on layers of clothes and go out and do the shoveling for her and how unexpected it was to be outside with the rest of the neighbors on our block and he wasn’t with us. I’m sure it was jarring and probably felt a little surreal for her. Eventually we finished our shoveling and turned to look back at her yard. We talked of the possibility of Spring and blooming flowers and much warmer weather. Good to be reading your words again, Mary Kate. Wisdom for those who have lost someone dear, and for those who merely want to be a good friend. Thank you Kathy! As you know I am in a transition right now and it has been difficult to focus my attention on writing. I hope I am turning a corner so to speak and writing for the blog will become easier. I really really appreciate your support!! Hope all is well with you! !